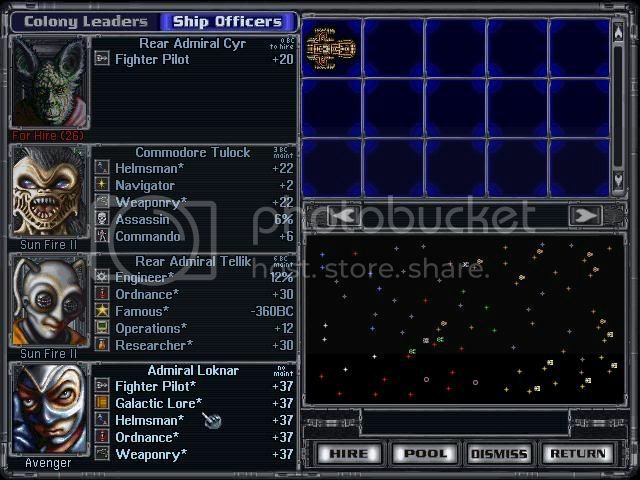 I would very much like to see a return of the old MOO system with governors and admirals. It added a unique aspect to the game having 'hero' units that you could assign to fleets or planets and would themselves increase in effectiveness/stats over time. Please consider adding this back to the new MOO game. Its shocking that so many features from MOO 2 are still lacking in this version that is supposedly 20 years more advanced... . Makes me doubt that any of the current developers actually spent time playing the originals. Edited by Omega_Weapon, 31 May 2016 - 03:17 AM. ​Me too. And it truly hasn`t been good for this project at all. And as for the leaders it would be great to see them again in a MOO game as they did add character to the game, but currently this game still has so many issues that need work that I doubt we will see them anytime soon. Master of Orion: Conquer the Stars → Gameplay Discussion → Leader skills overlap?